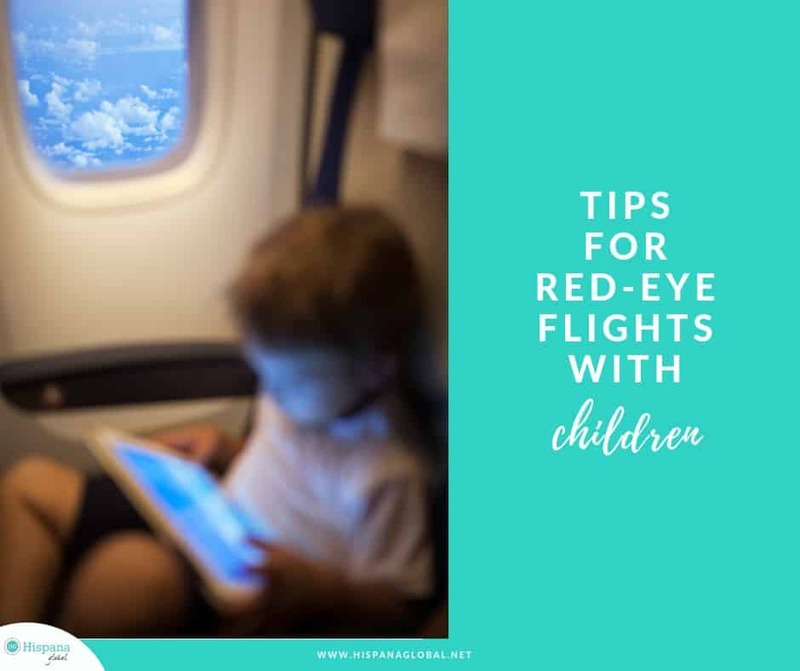 Traveling with young children can be daunting, and a long flight with kids can throw many parents into a panic. However, it doesn’t have to be a nightmare. I have been flying with my kids since they were babies and some flights were easier than others, but I’m happy to report we survived all the trips! Yes, even the red-eyes. If your travel plans include an overnight flight, it can actually be a blessing if you plan carefully. My family still lives in Chile and visiting them means taking a red-eye that lasts over eight hours. With a little planning, kids can be distracted until they fall asleep once the cabin is dark. No matter how old your children are, the trip will go much smoother if you avoid hunger and boredom. Dress your kids for comfort. Avoid belts since they are a hassle when passing through airport security, and prefer shoes that are comfortable and easy to slip on and off. Take an extra layer of clothing for the plane, such as a sweater, hoodie or sweatshirt. It can get quite cold during the flight, especially if you are seated next to a window. Pack an extra set of underwear and change of clothes for your children. Accidents happen and the last thing you want is for your little one to be stuck with wet or soiled clothes. Have snacks handy. 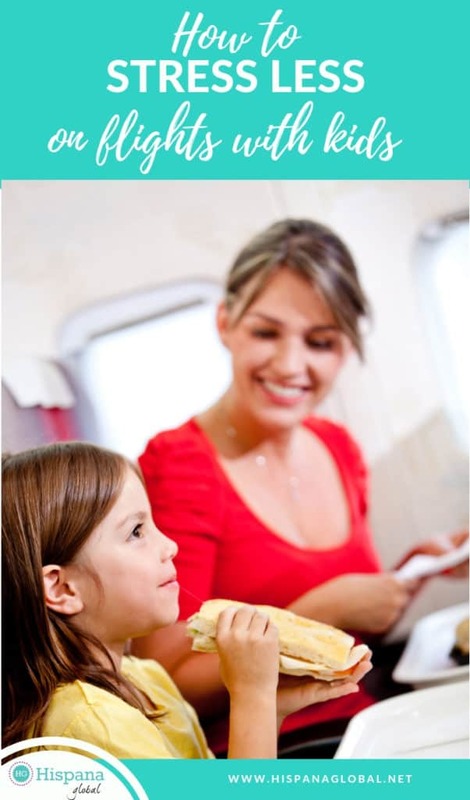 Longer flights usually include meals but your children might get hungry before the flight attendants offer dinner or breakfast. Dry cereal, crackers, pretzels and granola bars can be lifesavers and are TSA friendly. I strongly advise against candy, to avoid an unnecessary sugar rush, but honestly, sometimes it’s the only way to appease an antsy child, so it’s okay to have a stash with lollipops, gummy bears or other treats. Read also: 5 Great Snack Ideas When Traveling With Kids. Bring a lovey, beloved plush animal or a blankie to help soothe and entertain children. Make sure you have a duplicate at home in case you (heaven forbid) lose it. Don’t forget to bring videos, shows or movies your child enjoys, plus a headset. Download all content before you leave home, though. Even if you are willing to pay for airline wifi, streaming services are spotty at best. Have non-battery operated entertainment. 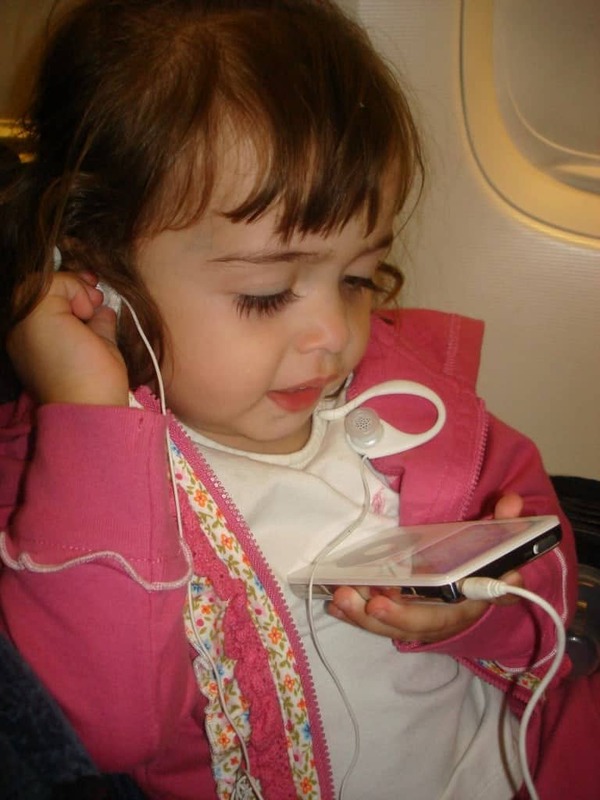 Electronic games, iPods and iPads are great for passing time, but you cannot rely on them all the time. Coloring books, stickers, Color Wonder coloring sets, card games and puzzles can distract your children and help you avoid tantrums. You can also print out free coloring sheets. Go to the dollar store before your trip so you can stock up and surprise your little one! 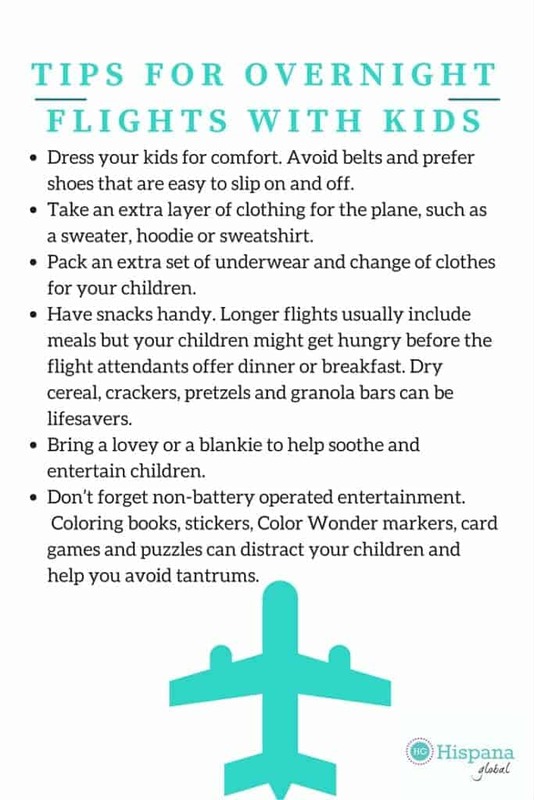 Read also: 5 Essentials That Make Traveling With Kids Easier. If your child has a crying fit or tantrum, try a change of scenery or activity to distract her or him. If possible, get up from your seat and “tour” the plane, or if you’re stuck in your seat, have a lollipop or stickers handy. Sometimes music also helps calm down children. Try to ignore rude stares because you need to focus on your child and see what’s upsetting him or her. Be as soothing as you can be.